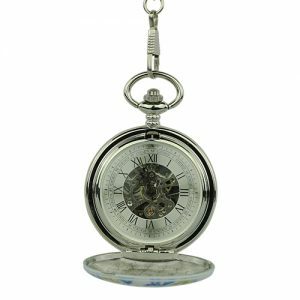 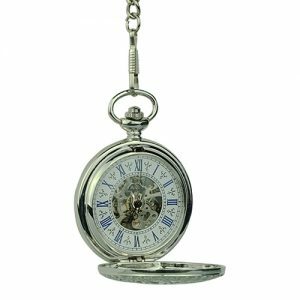 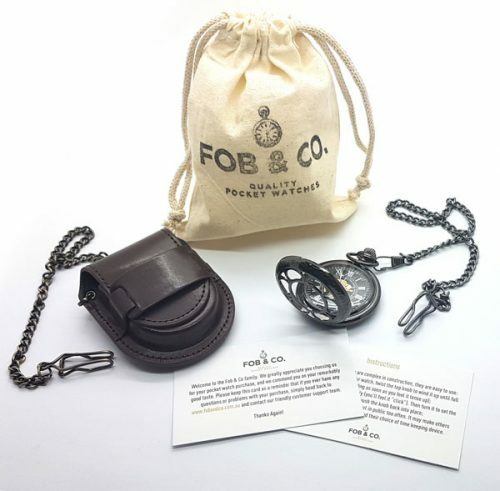 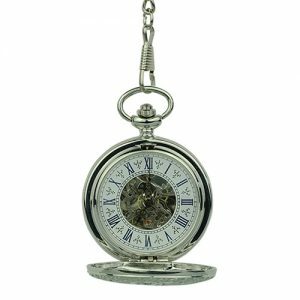 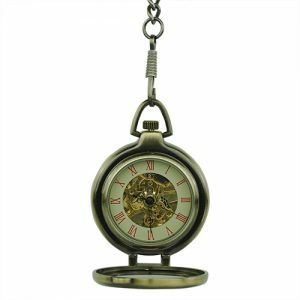 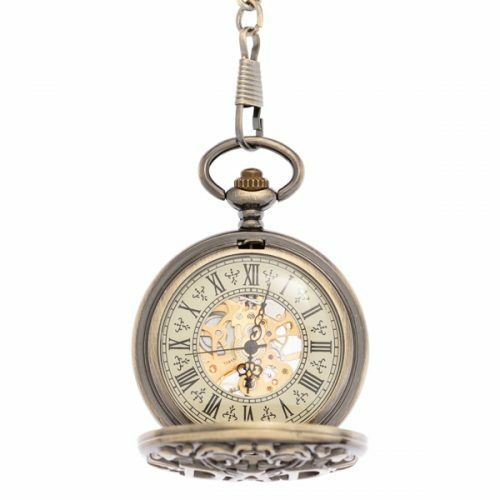 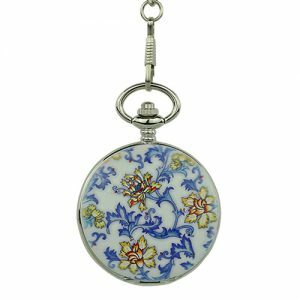 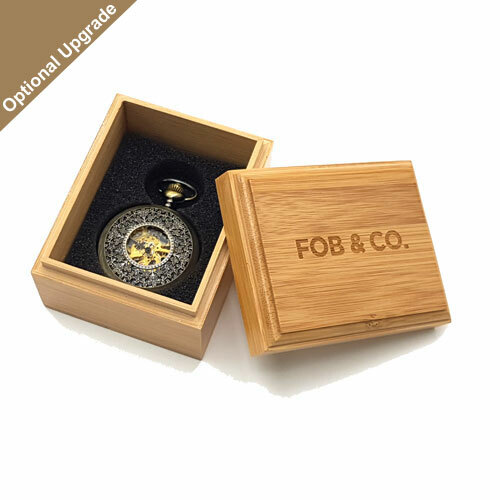 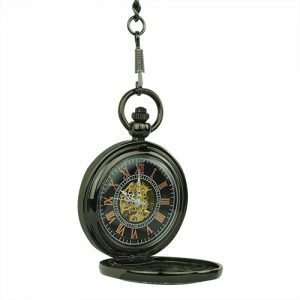 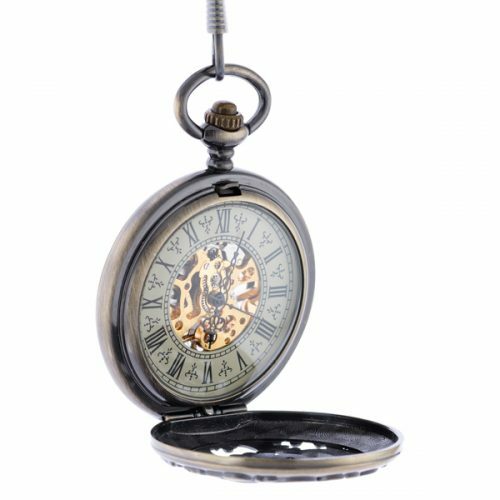 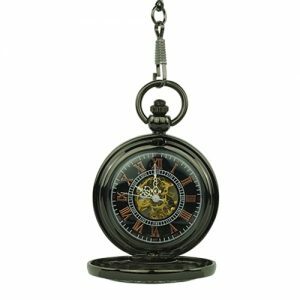 Here is a brass-coloured pocket watch with a half hunter cover. 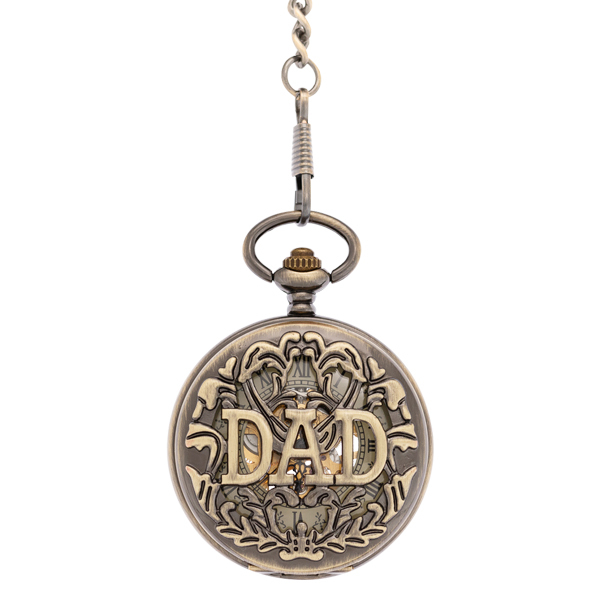 The intricate design features a large ‘DAD’ in brass colouring. 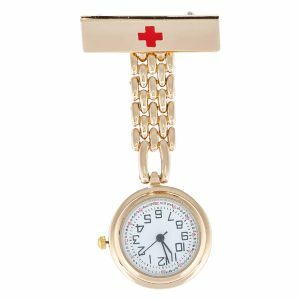 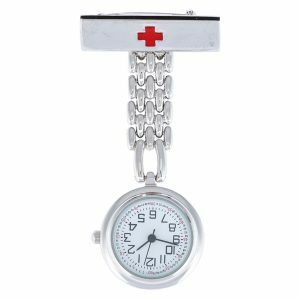 Several viewing windows show a see-through watch design with gold-coloured inner workings.